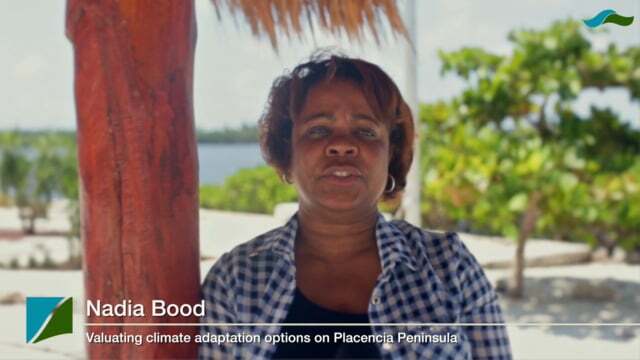 The ‘Valuating Climate Adaptation Options’ study used ecosystem service and cost-benefit analysis to illuminate the trade-offs between different climate adaptation strategies on Placencia Peninsula, Belize. It accounts for coastal-marine ecosystem services like tourism opportunities, protection from storms and sea level rise, and spiny lobster catch to make informed decisions. balancing tourism development and protection of nature On the Placencia Peninsula, coastal development and natural ecosystems face significant climate-related vulnerabilities. Adaptation responses are needed due to a strong relationship between vibrant natural resources and the development and growth opportunities offered by tourism and shrimp aquaculture industries on the Peninsula, nearby wetland system, and southern Belize Barrier Reef matrix. In Belize, government decision-makers, NGOs, private sectors groups, and communities are increasingly interested in building resilience and adapting to the adverse effects of climate change. However, the costs and benefits of adapting to these changes are not widely understood, limiting the ability of decision-makers to prepare for future challenges. This project was aimed at helping to meet this gap. All the building blocks related to this solution were implemented in an orderly manner to contribute to a unified process of execution of a cost benefit analysis (CBA) (see fig. 1) that could be replicated in tropical coastal marine areas in Belize and more widely by monetizing ecosystem services, addressing variation in the distribution of costs and benefits across an area, and helping to identify who and what bears the risk of climate change effects or the benefits of corresponding adaptation measures. The analysis drew upon extensive stakeholder engagement and collaboration with policy makers throughout all the building blocks. 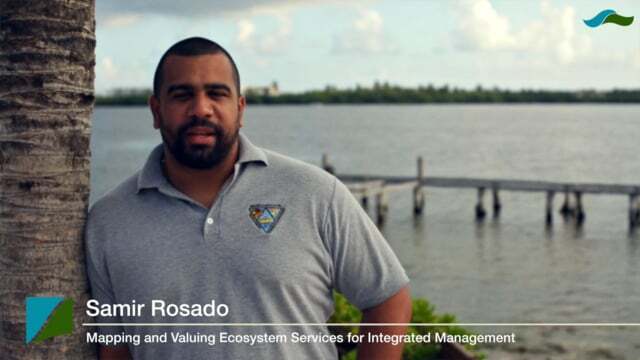 Efforts are leading toward seeking protected areas designation of the Placencia Lagoon as a means to protect mangrove forests and fringing ecosystems, seasonally and permanently inundated wetlands, endangered species and nursery habitats for marine life as well as to create buffer zones for flood and wind control. This initiative is being pushed unitedly by private sectors groups (tourism, fisheries and shrimp aquaculture farms), community village councils (4), local NGO and Concerned Citizen Groups. Increased efforts to restore and conserve mangroves on the Peninsula. Many coastal developers in Belize have traditionally opted to clear land down to the shoreline on their properties, even though this activity is illegal and often results in immediate loss of portions of their properties to erosion. This in turn leads to hard coastal defenses that accelerate neighboring erosion. This also occurs on the Placencia Peninsula as well. More recently, there have been increased outcries from local communities and concerned citizen groups for developers to implement better development practices to reduce vulnerability on the Peninsula and its adjacent lagoon system. Using results of this solution and other related projects, WWF have been working in partnership the local NGO, Southern Environmental Association (SEA), the Friend of Placencia Lagoon (a diverse concerned citizen group), shrimp aquaculture farmers and village councils to bring attention to the adverse effect of such unsound development actions and sharing information and training to develop with a green approach. Although pressure for land development (both tourism and for community expansion) continue to alter the face of the Peninsula, the use of green (i.e. natural vegetation) vs grey (i.e. concrete seawall) infrastructure to stabilize shorelines of private properties appears to be given increased attention, particularly on the lagoon site of the Peninsula. Efforts to maintain mangrove buffers along the lagoon banks is notable in addition to proactive efforts to replant mangroves in areas that have been previously cleared and experiencing notable erosion. Some land developers and shrimp aquaculture farms have also made a request to donate mangrove covered areas on their property to the proposed Placencia Lagoon protected areas system. The solution discussed herein, helped to provide strong social and economic justification for communities and stakeholders to place more emphasis on conserving and restoring the natural ecosystems. It translated climate risks into business-relevant language thereby building an “architecture of participation” (e.g. 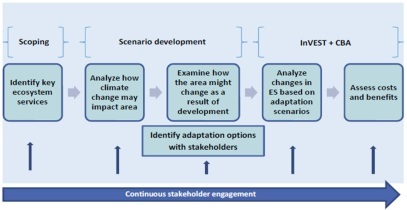 for corporate engagement and action), climate action, “resilience wedges” and enhanced adaptive capacity. This solution is published in the Marine and coastal and Ecosystem-based Adaptation portal.